PHNOM PENH, Cambodia (AP) — A former prison chief for Cambodia’s Khmer Rouge regime who has been sentenced to life in prison has been hospitalized with serious respiratory problems. 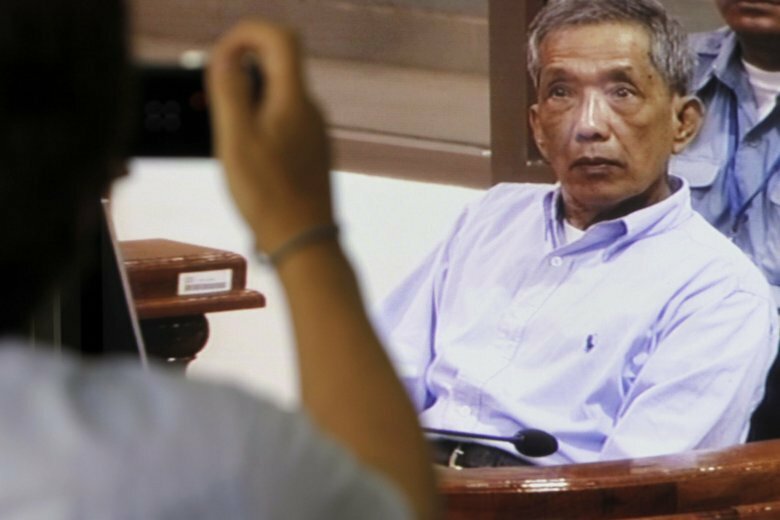 Kaing Guek Eav, known as Duch, was the first among the Khmer Rouge leaders to be convicted and sentenced to life in prison by a U.N.-backed tribunal in 2012. He has been serving his sentence in Cambodia’s Kandal province. Duch, 76, was admitted to the Khmer-Soviet Friendship hospital in Phnom Penh on Sunday, said Be Tealeng, deputy director of the prisons department at the Interior Ministry. The chief of the Kandal prison, Chat Sineang, described his condition as serious. Duch was the commander of the notorious Tuol Sleng prison, where more than 15,000 people were incarcerated and tortured before they were sent for execution. Duch is the only Khmer Rouge leader who has admitted to the charges against him and accepted responsibility for the crimes. The tribunal is seeking justice for an estimated 1.7 million people who died from torture, starvation, exhaustion or lack of medical care during the Khmer Rouge’s 1970s rule.